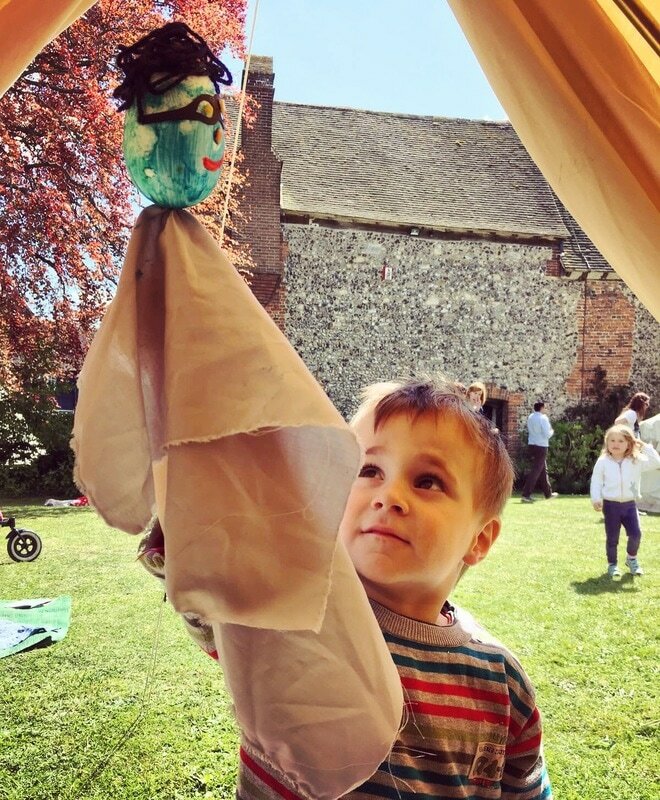 Half a String offer a number of different puppetry workshops from making puppets to manipulating them. For more complex making workshops, tailored manipulation workshops and any other enquiries please email peter@halfastring.co.uk. "Make a puppet in this fun hands-on workshop. Cut, stick and paint your way to creating a “table-top” puppet that is similar to the lead character in A Heart at Sea. Suitable for any age just bring your creativity along and let loose!" For more complex making workshops please email peter@halfastring.co.uk. We have led numerous workshops on puppetry manipulation from table top puppetry to larger animal ensemble puppetry. We focus on the puppetry staples of breath, weight and focus to bring the puppets to life. We have worked with everyone from 5-7 yrs all the way up to University level. For tailored puppetry manipulation workshops please email peter@halfastring.co.uk.